Take a break from the city and head to Scuba & Snorkeling and Four Mile Beach. Step off the beaten path and head to Birdworld Kuranda and Sunday Market Port Douglas. Explore the numerous day-trip ideas around Cairns: Safaris (in Port Douglas) and Hartley's Crocodile Adventures (in Palm Cove). To find maps, where to stay, traveler tips, and tourist information, read Cairns online trip planner . Use the Route module to find suitable travel options from your home destination to Cairns. In December, daytime highs in Cairns are 36°C, while nighttime lows are 26°C. Wrap up your sightseeing on the 8th (Sat) to allow time to travel to Airlie Beach. Let the collections at Above & Below Photography and Proserpine Museum capture your imagination. Step out of the city life by going to Scuba & Snorkeling and Whitsunday Islands. When in Airlie Beach, make a side trip to see Finch Hatton Gorge in Finch Hatton, approximately 2 hours away. Next up on the itinerary: tour the water at your own pace with Boab Boat Hire Airlie Beach and soothe aching muscles at some of the top local wellness centers. Planning Airlie Beach trip won't be overwheling when you use's Insprock itinerary maker. Traveling by combination of flight and ferry from Cairns to Airlie Beach takes 5 hours. Alternatively, you can do a combination of flight and bus; or drive. In December, daily temperatures in Airlie Beach can reach 34°C, while at night they dip to 28°C. Finish your sightseeing early on the 11th (Tue) so you can travel to Seventeen Seventy. Seventeen Seventy, also written as 1770, is a town and locality in Gladstone Region, Queensland, Australia, built on the site of the second landing by James Cook and the crew of HM Bark Endeavour in May 1770 (Cook's first landing in what is now the state of Queensland). On the 12th (Wed), look for all kinds of wild species at Joseph Banks Regional Park. To find photos, ratings, where to stay, and other tourist information, use the Seventeen Seventy trip planner . Use the Route module to find suitable travel options from Airlie Beach to Seventeen Seventy. In December, daily temperatures in Seventeen Seventy can reach 36°C, while at night they dip to 25°C. Wrap up your sightseeing on the 13th (Thu) early enough to travel to Bundaberg. Bundaberg is a city in Bundaberg Region, Queensland, Australia. Kick off your visit on the 13th (Thu): view the masterpieces at Bundaberg Regional Art Gallery, look for all kinds of wild species at Mon Repos, then explore the activities along The Basin, and finally get great views at Hummock Lookout. Here are some ideas for day two: sample the fine beverages at Kalki Moon Distilling & Brewing Company, then do a tasting at Brierley Wines, then take an in-depth tour of Palace Backpackers Memorial, and finally learn about winemaking at Ohana Winery & Exotic Fruits. For more things to do, traveler tips, maps, and tourist information, go to the Bundaberg trip site . Getting from Seventeen Seventy to Bundaberg by car takes about 2 hours. In December, daytime highs in Bundaberg are 34°C, while nighttime lows are 23°C. 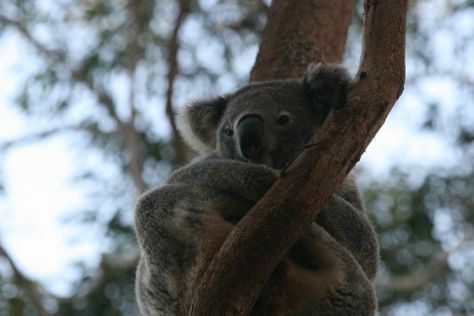 Finish up your sightseeing early on the 15th (Sat) so you can travel to Noosa. Start off your visit on the 15th (Sat): take a peaceful walk through Buderim Forest Park and then stroll through Marcoola Beach. Get ready for a full day of sightseeing on the 16th (Sun): see the interesting displays at Queensland Air Museum, enjoy the sea views from Caloundra Lighthouses, and then look for all kinds of wild species at Point Cartwright. To see ratings, reviews, where to stay, and other tourist information, you can read our Noosa trip website . You can take a train from Bundaberg to Noosa in 4 hours. Alternatively, you can drive; or take a bus. You'll have a few hours on the 17th (Mon) to wrap things up before traveling to Byron Bay. Appreciate the collections at Tweed Regional Gallery & Margaret Olley Art Centre and Thomgallery. Visiting Burleigh Head National Park and Lennox Head Beach will get you outdoors. Explore Byron Bay's surroundings by going to Springbrook National Park (in Springbrook) and Greenmount Beach (in Coolangatta). There's much more to do: tour the pleasant surroundings at Belongil Beach, take some stellar pictures from Broken Head Nature Reserve, and visit a coastal fixture at Cape Byron Lighthouse. To find more things to do, photos, where to stay, and tourist information, you can read our Byron Bay tour itinerary maker . Traveling by car from Noosa to Byron Bay takes 4 hours. Alternatively, you can do a combination of bus and train; or take a bus. In December, plan for daily highs up to 34°C, and evening lows to 20°C. On the 21st (Fri), you'll have the morning to explore before heading off to Yamba. Yamba is a town in northern New South Wales, Australia at the mouth of the Clarence River. On the 21st (Fri), get great views at Maclean Lookout and then tour the pleasant surroundings at Pippi Beach. Get ready for a full day of sightseeing on the next day: stop by Iguana Beachwear Gifts & Home Decor, experience rural life at Cardiff Alpacas, kick back and relax at Main Beach Yamba, then enjoy the sand and surf at Turners Beach, and finally kick back and relax at Spooky Beach. To find photos, reviews, more things to do, and more tourist information, read Yamba trip planner . Traveling by car from Byron Bay to Yamba takes 2 hours. In December, daytime highs in Yamba are 34°C, while nighttime lows are 20°C. On the 23rd (Sun), wrap the sightseeing up by early afternoon so you can travel to Coffs Harbour. Step out of the city life by going to Solitary Islands Coastal Walk and Korora Lookout. Frank Partridge VC Military Museum and Raleigh Vineyard & Winery are good opportunities to explore the local culture. There's lots more to do: stroll through Diggers beach, do a tasting at Two Tails Wines, contemplate the waterfront views at Urunga Wetlands Boardwalk, and tee off at Bonville Golf Resort. To see maps, traveler tips, other places to visit, and tourist information, use the Coffs Harbour journey maker app . Traveling by car from Yamba to Coffs Harbour takes 2 hours. When traveling from Yamba in December, plan for a bit cooler days in Coffs Harbour, with highs around 30°C, while nights are about the same with lows around 21°C. Cap off your sightseeing on the 26th (Wed) early enough to go by car to Port Macquarie. To find traveler tips, where to stay, other places to visit, and tourist information, go to the Port Macquarie online driving holiday planner . Drive from Coffs Harbour to Port Macquarie in 2 hours. Alternatively, you can take a bus. Traveling from Coffs Harbour in December, you will find days in Port Macquarie are little chillier (26°C), and nights are about the same (22°C). Finish up your sightseeing early on the 28th (Fri) so you can travel to Sydney. Your cultural itinerary includes sights like Sydney Opera House and Darling Harbour. Your inner history buff will appreciate The Rocks and Justice & Police Museum. Venture out of the city with trips to Bowral (The Milk Factory Gallery and Exhibition Space, Dirty Janes Bowral, & more), Falls Gallery (in Wentworth Falls) and Katoomba (Canyoning & Rappelling Tours, Blue Mountains Cultural Centre, & more). 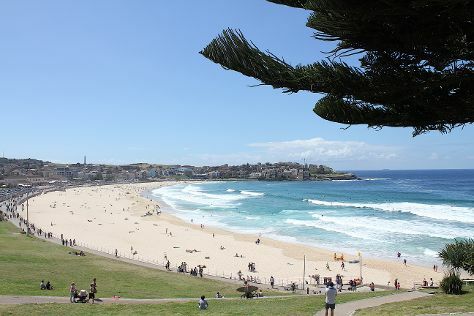 There's still lots to do: enjoy the sand and surf at Bondi Beach, take in the spiritual surroundings of Nan Tien Temple, take in the exciting artwork at Brett Whiteley Studio, and trek along Bondi to Coogee Beach Coastal Walk. For maps, traveler tips, and more tourist information, read our Sydney tour planner. Getting from Port Macquarie to Sydney by flight takes about 3.5 hours. Other options: drive; or do a combination of bus and flight. When traveling from Port Macquarie in December, plan for somewhat warmer days and about the same nights in Sydney: temperatures range from 32°C by day to 21°C at night. Cap off your sightseeing on the 7th (Mon) early enough to go by car to Newcastle. Start off your visit on the 7th (Mon): enjoy the sand and surf at Newcastle Beach and then tour the pleasant surroundings at Caves Beach. Keep things going the next day: take in the exciting artwork at Newcastle Art Gallery, then see the interesting displays at Lost in the 50's Car Museum, then browse the exhibits of Lake Macquarie City Art Gallery, and finally stroll through Redhead Beach. To find other places to visit, more things to do, maps, and tourist information, you can read our Newcastle trip itinerary builder tool . Getting from Sydney to Newcastle by car takes about 2 hours. Other options: take a train; or take a bus. January in Newcastle sees daily highs of 34°C and lows of 21°C at night. Wrap up your sightseeing on the 8th (Tue) to allow time to drive to Nelson Bay. Nelson Bay is a suburb of the Port Stephens local government area in the Hunter Region of New South Wales, Australia. On the 9th (Wed), enjoy the sea views from Nelson Head Heritage Lighthouse and Reserve, kick back and relax at Zenith Beach, and then identify plant and animal life at Tomaree Head. Get ready for a full day of sightseeing on the 10th (Thu): explore the striking landscape of Tomaree National Park. To find other places to visit, ratings, more things to do, and tourist information, you can read our Nelson Bay tour itinerary tool . Traveling by car from Newcastle to Nelson Bay takes an hour. Alternatively, you can take a bus. In January, daytime highs in Nelson Bay are 33°C, while nighttime lows are 21°C. Finish up your sightseeing early on the 10th (Thu) so you can go by car back home.